Time to dance! Aspiring US Trip Hop Artist Grady Szn' has just unveiled his brand new single #Party Animals. The title says it all guys. This is a cool party song with a tropical vibe to it, perfect for the summer parties to come. 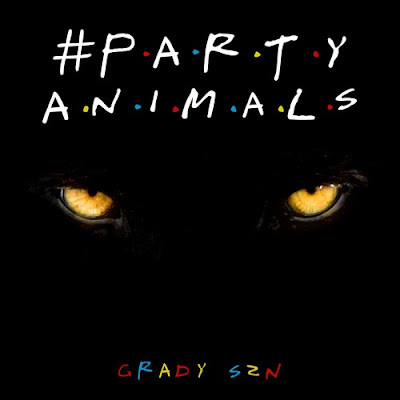 #Party Animals has a killer melody, cool lyrics and a highly infectious hook that will stick to your head in no time. I really like these types of music because they are a bit different from what I am used to listening and I am very surprised with how addictive it is. I just want to dance and sing along to this summertime gem. Stream it below!